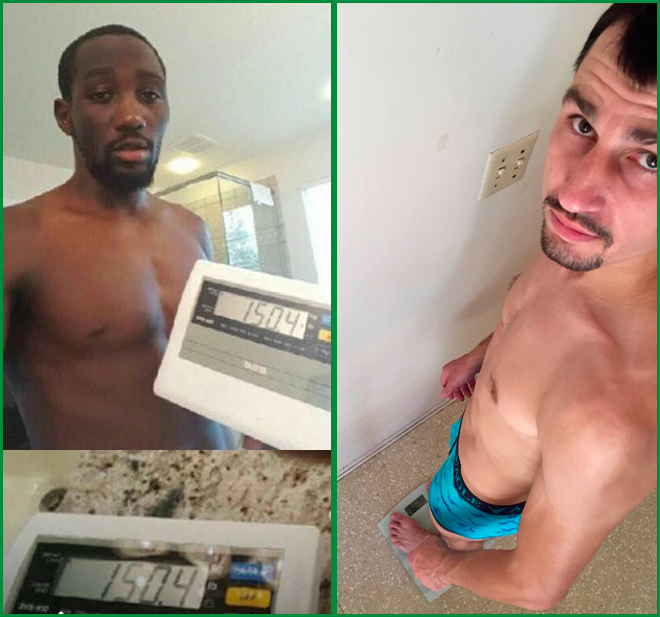 Fired up and undefeated super lightweight world champions, “The Iceman” VIKTOR POSTOL and TERENCE “Bud” CRAWFORD, will strike an illuminating unification match, to determine who`s the King of the Castle. Both fighters presented the WBC mandatory 30 days pre weigh in, at their respective training camps. This vital WBC rule prevails, in order to prevent dehydration. It meticulously monitors the gradual and safe weight loss of the boxers. Crawford tipped 150.4 pounds on the scale, while Postol was lighter at 145.5 lb. The fight of Crawford vs. Postol is on Saturday, July 23rd, at the MGM Garden Arena in Las Vegas. The event will be produced and distributed through HBO Pay-Per-View, starting 9:00 p.m. ET / 6:00 p.m. PT.